► Who is the real evil? 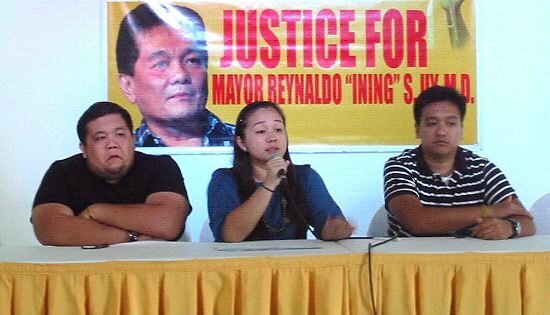 CALBAYOG CITY – Just like other extra-judicial killings (ELKs) in the province, the Philippine National Police and other coordinating agencies have not come up yet with a conclusive result on their investigations of the assassination of Calbayog Mayor Reynaldo Uy last April 30, 2011 in Hinabangan, Samar. The slow paced development of the case under the PNP and the Criminal Investigation and Detection Group (CIDG) and the Commission on Human Rights’ act of archiving the same made the family decide to seek the help of the National Bureau of Investigation (NBI) Central Office. Dismayed, Rosa Jessica “Aika” Uy-Delgado (eldest child of Mayor Uy) revealed that as a sign of respect and courtesy to the victim’s family they should have been informed on the development of the case but she learned that a high ranking PNP official allegedly said that it is not the duty of said office to do the same. “We are saddened when it was archived considering that this is a high-profile case; but we don’t want to lose hope. It’s like opening a file cabinet,” she said. An independent re-autopsy of Uy’s body was conducted lately by Dr. Alvin David, a forensic expert from the NBI. With these, she expressed her 100% faith to the agency as it would open a new door in the investigation. Compared to the previous autopsy report of Dr. Cordero from the PNP and the reenactment made on July at the crime scene, she disclosed that there were doubts on her mind since the investigating body suggested that there was an angle of “squabble” within and between the victim’s allies or supporters on the night of the killing. She also disclosed that the PNP was not able to determine exactly the position of the gunman or its range from the victim’s location. The CIDG on the other hand have 2-3 angles but just like the other investigation, the victim’s family was not convinced on it. The eldest Uy (from the brood of 4) exclaimed her disappointment to the police officers (especially in civilian clothes) and the military that are constantly seen and used as bodyguards by his father’s opponent and political rival. “Paanano ka magtatapud san usa nga institusyon nga pirme mo nakikit-an nga upod-upod san usa nga politico? Sino ba an kaupod pirme? Di ba an 2 six by six trucks, 2 mobile patrol cars san PNP and RMG? !” she uttered. Admittedly, anybody can be a suspect considering that a high powered firearm can be bought in the market, she clarified. Examining the suggestions and interpretations made by the NBI, she is fairly convinced that it is akin to the real picture she is expecting to believe which is based on the gunshot wounds that the victim acquired from the gun used by the killer. She further revealed that there are already leads such as the rifle used by the gunman but refused to give details as it could possibly affect the investigation of the case. Without pushing the NBI to resolve her father’s case at once, the agency assured that the result of the re-autopsy conducted last August 24 will be available in the coming week. CEBU CITY – The 15th edition of the biennial Cebu Archdiocesan Mass Media Awards (CAMMA) declared columnist Fr. Roy Cimagala the best in column writing in ceremonies held in SM Cebu on August 28. This is the third time to win such award. Fr. Cimagala writes a column, Hints and Traces, for Cebu's Freeman newspaper, and has been consistently putting Christian values into public issues covered by the media. The Cebu-based priest is chaplain of Center for Industrial Technology and Enterprise (CITE) among many other pastoral assignments. His love for writing led him to contribute commentaries to different media outfits. “I feel that the burning issues of today need to be given the inputs of human and Christian values,” he said. “This does not mean there's only one concrete human and Christian view regarding these issues. There can be many, since they are often matters of opinion. But at least they are views with a Christian tone,” he added. To Fr. Cimagala, this Christian tone includes elements of an earnest search for truth that is always done in charity, respecting the dignity of persons, concern for fairness and, in general, faithfully following the many codes of ethics that have been crafted to guide people in media. He bats for what is constructive and positive, rather than focusing on the negative. He is also for building up a network of cooperative work among the different parties and sectors of society, rather than pitting one party with another. CAMMA's theme this year is “Truth, Proclamation and Authenticity of Life in the Digital Age.” The aim of the organizers is to give due recognition to the generous and often heroic work of mediamen. Fr. Cimagala encourages all members of society to get involved in their own way in the world of public opinion. “The vitality of our society, the health of our culture depends a lot on how we are forming our public opinion,” he said. QUEZON CITY – Women’s rights group today supported the call urging the Bureau of Jail Management and Penology (BJMP) and the Department of Interior and Local Government (DILG) to immediately act and look into allegations of sexual harassment, acts of slavery and other discriminatory practices against women prisoners and their visitors in jail facilities. “Reports on women inmates in Philippine National Police Custodial Center at Camp Crame were being taken out of their cells at night and were forced to sit with jail officers during their drinking spree are disturbing enough because it shows the vulnerability of these women to these forms of sexual harassment. There are also additional reports that the women prisoners were also required to massage male jail guards and wash their clothes. These acts of slavery and sexual harassment should stop and the jail guards and officials responsible or those who tolerated these under their watch should be made accountable,” said Cristina Palabay, Tanggol Bayi spokesperson. The woman leader also called on BJMP and DILG officials to adhere to international laws and rules governing the treatment of prisoners, including women prisoners, as stated in the UN Standard Minimum Rules for the Treatment of Prisoners and in the newly adopted resolution at the United Nations General Assembly known as the United Nations Rules for the Treatment of Women Prisoners and Non-custodial Measures for Women Offenders. Palabay also urged officials in the said agencies to likewise review and scrap from their manual of operations and/or guidelines the policy and practice of strip search of visitors of inmates in jail facilities such as those in Camp Bagong Diwa, Taguig City. “Visitors of political prisoners and regular inmates have experienced trauma and psychological abuse, which are sexual in nature, in instances of their visits to their detained relatives and friends. Furthermore, their refusal to be subjected to such searches denies them of entry and their visitation rights,” she commented. TACLOBAN CITY – The provincial government of Leyte has constructed a total of 45 public school building all over the province in response to the need for more classrooms among elementary and public schools. A total of twenty 2-classroom buildings, twenty-two 1-classroom building, one 3-classroom building and a two-storey six-classroom building. 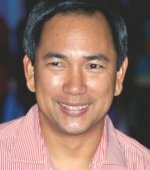 Leyte Governor Carlos Jericho Petilla said these constructed school buildings have been identified as priority by the Department Education, categorized as “red flag” with the number of pupils more than the ideal number in a classroom. Gov. Petilla said the province has pitched in to help following clamor by the schools themselves which sought the help of the provincial government in consideration that the DepEd itself cannot fully cover all the lack of classrooms among schools. It was learned that two-classroom buildings were constructed at the Cogon Elementary School and Alangalang National High School in Alangalang, Hindang National High School in Hindang, Tinabilan National High School in Palompon, Polahongon national High School in Mahaplag, Villa Aurora Elementary School in Burauen, Tapol Elementary School in Leyte, Gov.E. Jaro Elementary School, Nagaasan Primary School, Rizal Elementary School, San Agustin Elementary School all of Babatngon, Caloogan Primary School in Palo, Capangihan Elementary School in Tolosa, Hiluctogan Elementary School in Kananga, Calubian National High School in Dulag, Caduhaan Elementary School in Palompon, Candelaria Elementary School in Matag-ob, Canino-an Elementary School in Pastrana, Maragondong Elementary School in Dagami and Buli National High School in Bato. On the other hand, one-classroom school buildings were also constructed in Tagadtaran Elementary School, Buenavista Elementary School, Malaihao Elementary School, all of Burauen; Pangna Elementary School in Carigara; Tinocolan Elementary School and Sta. Lucia Elementary School in Abuyog; Wague Elementary School and Consuegra National High School in Leyte; Ybañez Elementary School and Butason Elementary School in Tabango; Tinago Elementary School and Himarco Elementary School in Palompon; Casiongan Elementary School in Calubian; Veteranos Elementary School and Langit Elementary School in Alangalang; Batug National High School in Dulag; Manloy Elementary School, Upper Hiraan Elementary School and Cassidy Elementary School in Cariagara; San Jose Primary School in Palo; and, San Pedro Elementary School in Macarthur. A three-classroom building was constructed at the EVSU-Dulag Campus and two-storey six-classroom building at the Palo National High School in Palo. The governor assures other schools identified as having a bigger population to be supported in their need for more classrooms. “We are doing this one at a time knowing that we are working on limited budget with not just school infrastructures to support. We are addressing this one school at a time,” Gov. Petilla said. TACLOBAN CITY – Leyte Governor Carlos Jericho Petilla guaranteed the business community in the province and the region in providing a business ecosystem that would allow businesses and economies to thrive and prosper. Gov. Petilla, who was one of the speaker during the Opening Program of the 1st Eastern Visayas Chamber of Commerce and Industry Conference, said the various chamber of commerce and industry in the region remain to be the key players in generating local and foreign interest in the business community and that the local government units could only provide and support policies that would maintain a thriving business climate. The governor talked on expanding businesses in the communities where he emphasized that the local government units would only remain a catalyst in bringing new businesses to the countryside and will not become entrepreneurs in itself and compete with the private business sector. “I always maintain that the government is a ‘bad businessman’. Whenever the government comes into play in the business side of things, it always bound to lose,” Gov. Petilla said. He again enthused to the businessmen who were in attendance, on the need for private business players to invest around the province and the region. The governor hailed businessman such as Charlie Uykim for taking up to the investment challenge via the construction and development of the Leyte IT Development Park in Palo, Leyte. “This would be a big boost to our local economy and employment. Once this become operational, I am sure, other businesses would come in,” Gov. Petilla said. He likewise shared in the province’s thrust of making tourism as an economic driver in the province. “To achieve this we only have one goal and that is to create a top-class quality destination hotel,” the governor disclosed while called for more public-private partnership in a bid to develop further the business and economic potential of the Eastern Visayas region. The 1st Eastern Visayas Chamber of Commerce and Industry Conference was aimed to raise chamber member’s awareness on labor-related and tax-related laws and fully appreciate community service. Among those tackled in the three-day conference were creating a dynamic business environment, empowering the micro small and medium enterprises, responsible business for a better community, expanding business in the communities. Two collection officers in Negros Occidental were slapped with administrative penalties and ordered suspended from respective posts without pay. This, as the Office of the Ombudsman in the Visayas resolved the earlier charges as filed over the discovery of cash shortages in their respective localities. Docketed as OMB-V-A-09-0037-B, Norman Uytiepo, Revenue Collection Officer II of the Escalante City Treasurer’s Office was found guilty of less serious dishonesty. As such, Uytiepo whose salary grade is 7, was meted a “medium penalty” of eight months suspension from the service without pay. Amount involved as per cash examination by the Commission On Audit (COA) and corresponding validation by Ombudsman probers was P110,24.54. Uytiepo has since restituted and refunded the said amount alongside a 30-day suspension also ordered by Escalante Mayor Melecio Yap Jr. Yet as far as the Ombudsman is concerned, restitution has not cured the crime nor was the 30-day suspension commensurate to the violation committed. And with the administrative sanction of 30-day suspension also handed down by the mayor, the matter should be over and done with. The Ombudsman begged to disagree and proceeded with its own Decision. Similar fate for Shigried Sanoy, Local Revenue Collection Officer II with salary grade 15 of the Provincial Treasurer’s Office, Province of Negros Occidental. With cash shortage of P135,885.76, Sanoy was found guilty for simple misconduct and suspended for three months one day without pay. “Unmistakably, the facts and evidence on record established that respondent committed Malversation…malversation is inherently a form of misconduct by a public official,” the Ombudsman Decision went. Docketed as OMB-V-A-09-0363-K, Graft Investigation and Prosecution Officer I Amy Rose Soler-Rellin penned the Decision, reviewed by Assistant Ombudsman Virginia Palanca Santiago. Recommending the approval was Deputy Ombudsman for the Visayas Pelagio Apostol with then Acting Ombudsman Orlando Casimiro approving the Decision. Employment rates in the Philippines grew by 4 percent year-on-year as the country’s labor market regains momentum in April 2011, but not in the case of region VI. The region together with four other regions marked high with unemployment rates compared with the national rate, a report from the June 2011 bulletin of the Bureau of Labor Employment Statistics which highlights the labor force of the country as of April 2011. The five regions that posted unemployment rates higher than the national rate: NCR (11.6%), Region I (9.8%), Region III (8.3%), Region IV-A (10.0%) and Region VI (7.6%). However, on a national picture, expansion was driven by the marked recovery in agriculture, fishery and forestry sector (5.6%) and the continued expansion, though at slower pace, in industry sector (2.4%) and services sector (3.4%), the bulletin showed. The quality of employment was mixed with gains in wage and salary employment (5..0%) and full-time employment (3.5%) partly offset by the rise in underemployment rate by 1.6 percentage points and the slight decline in mean hours worked by 0.3, it added. BLES said that more persons joined the labor market in April 2011 compared with the same period last year. Estimated at 39.691 million, the labor force expanded by 3.1% during the period under review, which means an addition of more than a million (+1.179 million) new entrants/reentrants to the labor force – about twice the figure (+688,000) recorded in 2010. BLES added the labor force participation rate (LFPR) rose from 63.6% to 64.2% during the period. With the growth in employment (4.0% or +1.408 million) surpassing the expansion in labor force (3.1% or +1.179 million), the number of unemployed persons dropped by 228,000 to 2.871 million in April 2011. This translates to a 0.8 percentage point reduction in unemployment rate, i.e., from 8.0% to 7.2% over the period, BLES said. Further, half (50.0% or 1.435 million) of the total unemployed workforce were young workers (aged 15 to24 years old). Youth unemployment rate at 16.6% was more than twice the national average. This rate was 2.2 percentage points lower than last year. About two in every three unemployed were men (63.9% or 1.836 million). Compared with last year, unemployment rate of men was down by 0.6 percentage point to 7.6%. Also, the rate for women was down by 1.1% percentage points to 6.7%. The majority (44.2% or 1.270 million) were high school graduates or undergraduates. Equally large were college undergraduates and graduates (43.5% or 1.249 million). Meanwhile, on the downside, underemployment rate was up from 17.8% to 19.4%. This translates to 7.126 million underemployed persons, an increase of 829,000 from a year ago level, BLES said. Manhunt operations on those involved in the massive trading of geckos, locally known as ‘tuko’, has been a positive move, or else dengue virus-carrying mosquitoes may multiply which poses a threat on the population of this type of reptile that feeds on insects such as mosquitoes. Recent reports stating the rise in hunting and selling of these reptiles because of their high cost in the international wildlife market coincide with the rise in the number of dengue patients now being monitored by the Department of Health. Senator Manny Villar has filed Senate Resolution No. 538 urging the Trade and Commerce committee to conduct an inquiry on the reported massive trading of geckos for the purpose of crafting measures that will protect the specie from threats, ensure their survival and maintain the unique balance of the ecosystem. As chairman, Villar expressed apprehension over the hunting of geckos, which he said will allow dengue virus-carrying mosquitoes to multiply, hurting the government campaign to control the fatal disease. To date, dengue cases from the period January to June 2011 nationwide is 27,000, a Disease Surveillance Report of the DOH-National Epidemiology Center (NEC) showed. Reports have it that much of the interest in geckos was generated by a claim that it can cure cancer, asthma, tuberculosis, impotence and even Acquired Immunodeficiency Syndrome (AIDS). But in its statement, DOH said the use of geckos as cure for AIDS or asthma was unproven and had no scientific basis. According to reports, 500 grams of geckos, which is commonly found in households and their surrounding areas, sell from P50,000 to P500,000. Trading of geckos is primarily done online through networking sites and other internet-based marketing networks where a sale is made to the highest bidder. Villar noted that although geckos are not classified as either critically endangered or vulnerable, but it is now under threat from over collection which can ultimately lead to vulnerability or extinction. The government must act in order to save the specie from threats because existing wildlife plays a role in the balance of nature, he added. Local environmental analysts theorized that due to a high poverty crisis in the country, people in the business abroad would take advantage of any forms of trade such in the case of geckos, many Filipinos have been paid already in the massive collection of the geckos. BASEY, Samar – Provincial Irrigation Engineer Amadeo R. Montejo will lead local officials and employees of the National Irrigation Administration in Samar in playing host to top NIA executives and other government officials in the test run of the Basey Irrigation Project come August 21 this year. Engr. Montejo and staff will guide their visiting guests to the irrigation dam which utilizes the natural power of the Bugasan River. The dam site can be reached after four kilometers of climbs and treks from Mabini, a populous upstream interior riverine village of Basey, Samar, Philippines. By August 21, a Sunday, the valves at the dam will be opened to release a great volume of water that will next run via gravity force into a cut-and-cover canal that ascends and descends the mountainous portion of Mabini, further flow down to an under-the-river canal, and then out into the 1,500 hectares of rice fields of the town. By that time, rice farmers could already be standing by the open irrigation canal or right at their rice paddies to witness for the first time in their lives how the irrigation system will provide rice-life-sustaining water to assure up to four times of planting and harvesting rice. The dam and canals had been designed by supervising engineer Raul B. Salipuran. Irrigation will now be a blessing to the rice farmers in the villages of Mabini, Inuntan, Guirang, Burgos, Del Pilar, Old San Agustin, Bulao, and Cogon, and maybe even part of Cancaiyas or even that section towards, or near or between Villa Aurora and Sawa. The Basey Irrigation Project has a potential irrigable area of 3,000 hectares, which could include rice fields in other barrios towards the east and southeast. The NIA’s irrigation development officers, like Mitchelle A. Manog, Leah L. Advento and Maylane G. Advincula, and IDS chief Monaliza J. Cuna, have been looking into the formal training and organization of the landowners who may henceforth become irrigators that will be managing the usage of the irrigation facility in their own localities. Two organizations – Baktas Kabub’wason Rural Workers Association and Consortium of Community Organizers of Basey (COrBa), respectively under president Teodorico D. Porbus and lead convenor-chairman Guillermo Gacutan – had helped them clarify on some issues and concerns faced by some of the prospective irrigators. Last June 28, Porbus and Gacutan, along with the Department of Agrarian Reform municipal agrarian reform officer in Basey and Youth In Action prexy Michael Unabia Dela Torre, visited the dam site at Bugasan as part of their planning activities. The visit was facilitated by PIE Montejo and the staff of the Basey Irrigation Project. After the visit, they were given two separate briefings on the BIP.